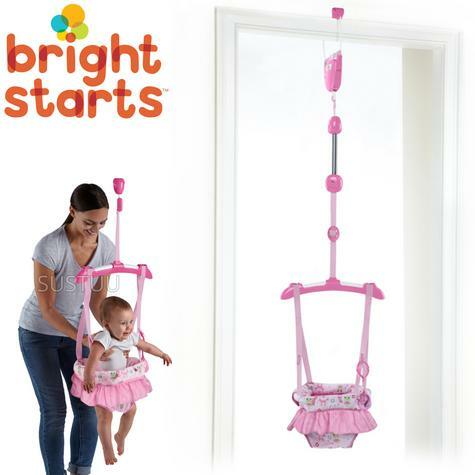 Fun Comes First!™ Your little princess will love jumping with joy in the portable and secure Fairy Tale Dreams Door Jumper form Bright Starts™! 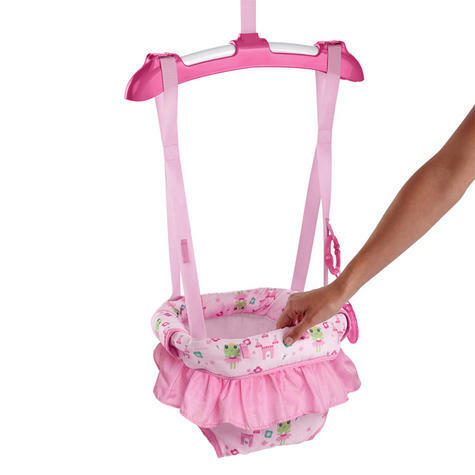 Your little princess will be adorably accessorized with the perfectly pink skirt around the seat. 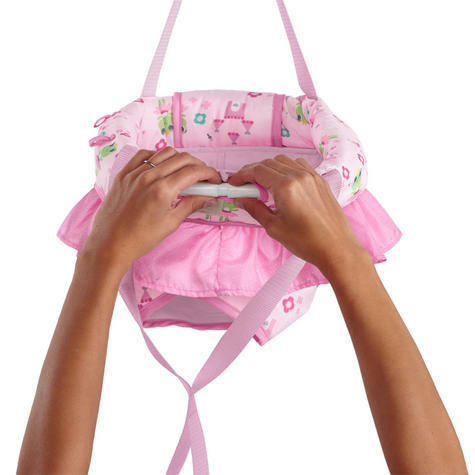 A heart-shaped take-along teether toy is included to help soothe sore gums. 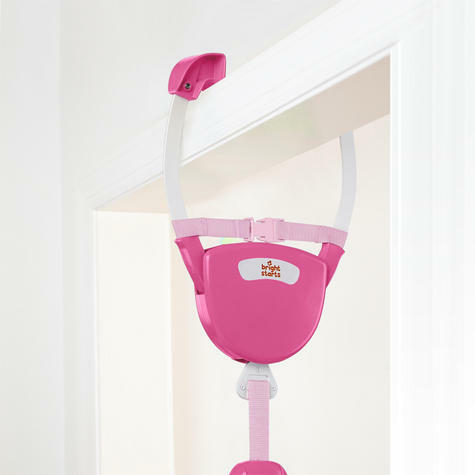 The door jumper is perfect for smaller spaces or the baby on the go with its lightweight and space-saving design. The padded seat ring ensures extra comfort and the sturdy door frame clamp is designed to provide a secure connection to most doorways. Adjust the straps as your baby girl grows so her cute little toes are just the right height for jumping fun! 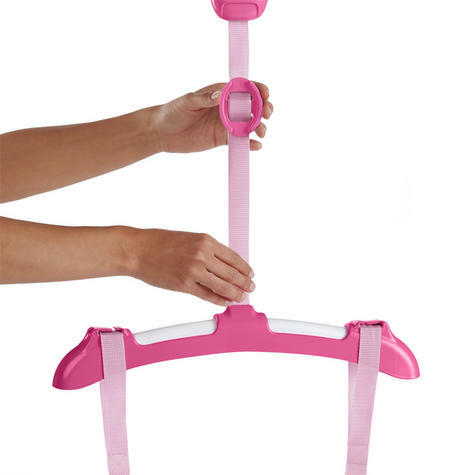 When things get a little messy simply toss the seat pad in the washing machine. 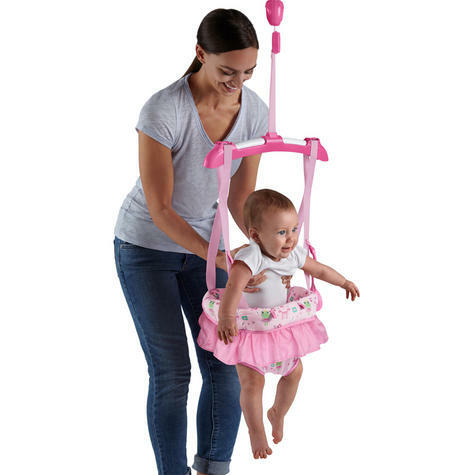 Recommended for babies 6 months to 1 year old (or max weight of 26 lbs). Buy with Confidence from a Bright Starts Authorised Dealer and All Purchases come with a VAT Receipt.